This Betang House is the creation of Dayaknese Tribe that lived in Kalimantan inland with group concept of life. At that time, Dayak tribes stay inland of Kalimantan and pass their live in group, together in a house called 'Rumah Betang' (Betang traditional house). Unusual color of the water makes this lake is different from the others. The houses that floating above it is equally interesting to look at. This is lake Tahai in Palangkaraya, Central Kalimantan. Arboretum Nyaru Menteng is a wildlife conservation centre with many species of rare and exotic flora and fauna, including orangutans. If you are interested in Dayak culture, then came to Museum Balanga. In this museum you will be treated with variety of Dayak community. Here, you will get the division of the tribe, the names, customs and even traditional weapons they use. This tourist attraction is about ± 34 Km from the center of Palangkaraya, with a travel time of approximately 45 minutes using the vehicle to reached the top of the hill and then followed by the trail. Located in Pesona Mahakam Estate, Jessica Waterpark is one of a favorite tour destination for family to spend weekend or enjoy family time. Rivers are important to the people of Samarinda. Besides serving as avenues for transportation, they also meet the people's need for sanitation, and other facilities. The Mahakam, at this point, is about 430 meters wide, and the water-taxis are everywhere. The river splits the town into two parts, known respectively as Samarinda Kota and Samarinda Seberang . One of the oldest Chinese temple in East Indonesia. Check and watch its Cap Go Meh ritual two weeks after the Chinese new year if, the occassion is consented by their Gods. Mount Mahawu is a stratovolcano located immediately east from Lokon-Empung volcano in North Sulawesi, Indonesia. A very rich coral ecosystem covers most of Bunaken National Park, dominated by fringing reef and barrier reef corals. One of beautiful place that has extraordinary scenery in Sulawesi is the Tondano Lake. Situated in the Konawe Regency at the eastern tip of one of the bays flanking Kendari, the capital city of South Sulawesi, the Toronipa Beach is a lovely relaxing place overlooking the picturesque Banda Sea. Sempu is an island located 800 meters from the southern coast of the province of East Java in Indonesia, about 70 km south of the city of Malang. The island is 3.9 km long and 3.6 km wide. Its topography is largely rolling hills whose altitude ranges from 50 to 100 meters above sea level. The name is quite simple, but intriguing. Museum of Transport basically exhibiting various transportation from ancient to modern. Angkut Museum located only 16 kms away from Swiss-Belinn Malang . Batu Secret Zoo is a zoo in Indonesia, were it claimed as First Modern Zoo in Indonesia. Batu Secret Zoo located at Batu, East Java, Indonesia, near Malang. The zoo opened in June 2010 and includes an animal museum - the "Museum Satwa"; and a tree-style hotel named the "Pohon Inn". The complex is spread over a 12 hectares (30 acres) area. Bromo Tengger Semeru National Park is located in East Java, Indonesia, to the east of Malang and to the southeast of Surabaya, the capital of East Java. It is the only conservation area in Indonesia that has a sand sea. Trans Studio provide the first mono train in Indonesia.The theme park consists of 22 features and amusement rides including Central Studio, Lost City, Magic Corner, Tsunami Island and Cartoon City. Keraton Kasepuhan is the most magnificent and well-maintained palace in Cirebon. The meaning in every edge of the architecture is well known for its history. The front yard of the palace is surrounded by red brick and there is a pendopo (pavillion) inside. This Sunyaragi garden and cave has been standing since the 17th century, during the Kingdom era, and its purpose is a place for meditation for the King’s family. 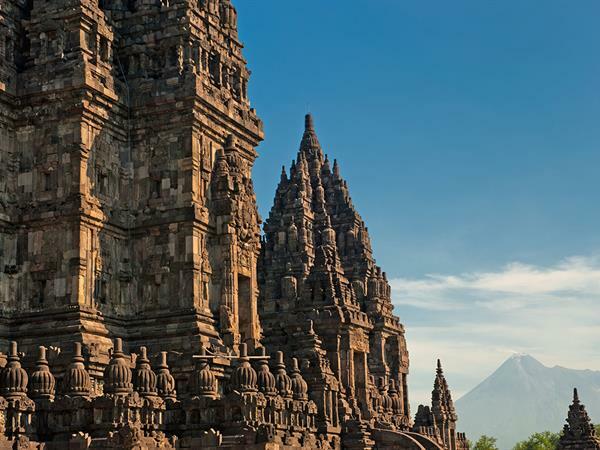 It has an interesting architectural design, diverse structure influence by the Indonesian classical, with the ancient Chinese, and also a mix of the Islamic and European features as well. The Sunyaragi garden and cave is 15 hectares in size. During the ancient time it use to be surrounded by water and its location near to Lake Jati. Masjid at-Taqwa Kingdom Cirebon was founded in 1918 in a village called Kejaksan, which consists of two parts, one to be used as Tajug Court (Masjid Taqwa now) and the other half is used as a square ( Alun -alun Kejaksan now). In this year also Jalan RA. Kartini is Street Railway heading to the Port of Cirebon who later moved to Jalan KS Tubun. Talise beach is one of mainstay attractions the city of Palu, Central Sulawesi. The beach is located at the end of Palu Bay stretches from Palu to Donggala. Lore Lindu National Park is a forested protected area on the Indonesian island of Sulawesi, in the province of Central Sulawesi. The area of the national park is 2,180 km² covering both lowland and montane forests (200 to 2,610 meters above mean sea level). St. Joseph's Church (Indonesian: Gereja Santo Yosef), also known as Gedangan Church, is a Catholic church in Semarang, Indonesia, the first such church in the city. Administratively, it is part of the St. Joseph's Parish in the Archdiocese of Semarang. Sam Poo Kong, also known as Gedung Batu Temple, is the oldest Chinese temple in Semarang, Central Java, Indonesia. Originally established by the Chinese Muslim explorer Zheng He (also known as Sanbao), it is now shared by Indonesians of multiple religious denominations, including Muslims and Buddhists, and ethnicities, including Chinese and Javanese. The mosque complex covers 10 hectares (25 acres). There are three central buildings arranged in the shape of a U, with the domed mosque at the centre; all buildings have pitched, tiled roofs, while the central mosque has four minarets. The central roof resembles the roof of a "joglo", the traditional Javanese house, and symbolises the rising steps toward heaven or to gain God's blessing. The long buildings forming the arms of the U house a library and auditorium respectively; the auditorium can hold up to 2,000 people. Taman Mini Indonesia Indah (TMII) or "Beautiful Indonesia in Miniature Park" (literally translated) is a culture-based recreational area located in East Jakarta, Indonesia. To reach Swiss-Belinn Hotel & Apartment Nagoya Batam we suggest to choose Horizon Ferry from Harbor Front Singapore to Harbor Bay ferry terminal Batam. Batakan Beach is located about 150 km from Banjarmasin. With pure white sands & sycamores growing green around the beach, it is a beautiful place to spend the day—or night. This island is in the Barito river, not far from a floating market. It is a forest of about 60 hectares with a conservation status, inhabited by tame monkeys of a species native to Kalimantan only, called "bekantan" (Nasalis larvatus). Making trips along the mighty rivers by klotok boat, or the river bus, is a unique experience not to be missed. For longer trips, one can even hire a speedboat. Located behind the refinery and close to Pandan Sari Traditional Market, Kampung Atas Air/ Floating Village is an interesting place to explore for its mangrove plantation scenery. It is a favorite tourist destination in the city center for local community in Balikpapan and is vicinity, and for domestic and foreign tourists. This area is also a center for foods and drinks at nights. Manly is the perfect Sydney beach for the whole family. There is sheltered swimming in a netted ocean pool, an aquarium filled with creatures of the deep, great fish and chips and plenty of ice-cream shops. Nestled between a tranquil inner-harbour beach on one side and a popular Pacific Ocean surf beach on the other, Manly combines a laid-back attitude with a sophisticated dining scene and stylish shopping. Stadium Australia, known for sponsorship reasons as ANZ Stadium, formerly Telstra Stadium, is a multi-purpose stadium located in the Sydney Olympic Park, in Sydney, Australia. Sydney (Kingsford Smith) Airport (also known as Kingsford-Smith Airport and Sydney Airport is an international airport located 8 km (5 mi) south of the city centre, in the suburb of Mascot in Sydney. It is the only major airport serving Sydney, and is a primary hub for Qantas, as well as a secondary hub for Virgin Australia and Jetstar Airways. Situated next to Botany Bay, the airport has three runways, colloquially known as the "east–west", "north–south" and "third" runways. Event Cinemas George Street is located in the centre of Sydney's busy CBD, in the heart of its entertainment district. 1.0km from hotel. The gateway to Australia, cosmopolitan Sydney is one of the world's most vibrant, innovative and beautiful destinations. No trip to Sydney is complete without visiting Sea Life Sydney Aquarium. Situated on the city side of Darling Harbour, Sea Life Sydney Aquarium houses over 12,000 animals from 650 species, including sharks, dugongs, turtles, stingrays, penguins, platypuses, tropical fish and much, much more. With spectacular views of the harbour, Sydneys much-loved Luna Park is a superbly restored 1930s amusement park where everyone goes... just for fun! Take on crazy rides like the Tango Train or nostalgic favourites such as the beautifully restored Ferris Wheel. One of Sydneys most famous attractions, the award-winning Taronga Zoo is home to over 4,000 animals, including Australian native wildlife, as well as rare and endangered exotic animals. Overlooking the magnificent Sydney Harbour, Taronga Zoo is just 12 minutes from the city by ferry. Located at the northern end of Darling Harbour, the Australian National Maritime Museum is a distinctive indoor/outdoor attraction and a great days entertainment for the whole family. Explore five levels of art at one of Australia's most popular art museums, located within beautiful parklands overlooking Sydney Harbour just 10 minutes walk from the city. The Royal Botanic Gardens, which are just a short walk around the water's edge from the Sydney Opera House, is one of the most breathtakingly beautiful settings you will see anywhere, with the gardens filling an area of land between the harbour and the eastern part of the central business district. Fort Rotterdam, known as Benteng Makassar, a historical site of the great Gowa Kingdom. The cool, fresh hill town of Batu was a retreat for the Dutch in colonial days. Similarly, these days wealthy local business people from Surabaya and Malang have weekend houses up here whilst the less fortunate visit on a more casual basis. The area is also a major agricultural centre with apple orchards everywhere and a large number of orchid nurseries. This is the former home of noted Belgian impressionist Adrian Jean Le Mayeur, which is now a museum dedicated to his works. Visit the well-appointed Mangrove Information Centre set in the huge 600 hectare mangrove forest which fringes the east coast south of Sanur. The most notable temple in Sanur which contains a major inscription on a stone pillar called the Prasasti Blanjong.